The Detroit-area rocker, whose real name is Robert Ritchie, teased the public for months. At a September concert, he was introduced as Michigan's "next senator." In October, he confirmed he wasn't running. 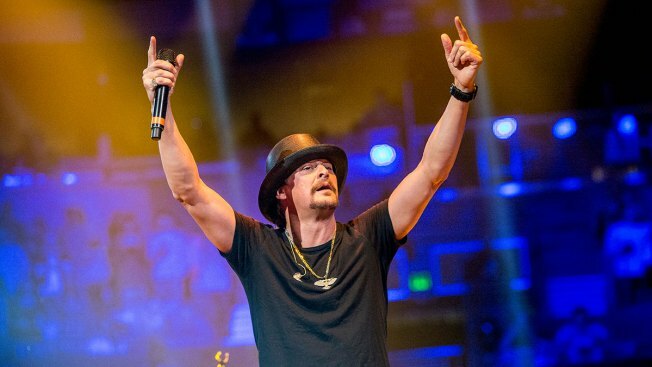 Kid Rock has donated about $122,000 from sales of merchandise promoting his potential U.S. Senate campaign to a voter-registration organization. Kid Rock's publicist, Jay Jones, said in an email to The Detroit News that money raised from political merchandise was sent to CRNC Action, an affiliate of the College Republican National Committee that did voter-registration work last summer at Kid Rock concerts. Ted Dooley, president of CRNC Action, says the donation was made in December. He says registering voters at the concerts was "pretty much like other voter registration work we do ... except a lot more fun."